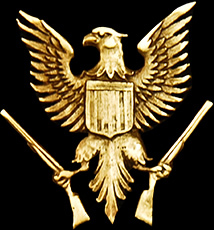 Connecticut Shotgun Mfg. Co. is a very small privately owned company. We enjoy total creative freedom to design, produce, and assemble what experts agree to be some of the finest guns in the world. Connecticut Shotgun Mfg. Co. manufactures, designs, builds and controls all of their own components to the strictest of specifications. These precious guns are built with great pride and are expected to be handed down from generation to generation. Our magnificent guns are a result of the most technologically advanced procedures combined with the ancient art of gunmaking. Each Connecticut Shotgun gun is crafted from our company's sole location in New Britain, CT, USA. Connecticut Shotgun gun’s are functional works of art, reflecting both beauty and mechanical perfection. To own such a marvel surely represents a benchmark stature. Full sidelock over and under shotguns such as the A-10 American™ are the height of gunmaking throughout the world; Consider the Boss over and under, the Woodward, or many other English and Italian over and under side lock guns, they represent the epitome of gunmaking; just as the A-10 American™ does. Under the direction of our President and Founder, our designs both mechanically and aesthetically represent the perfect balance of technology and art. Only then did we deem it worthy to bear the Connecticut Shotgun name. The A-10 American™ and all Connecticut Shotgun products come from years of research and development; through a team of qualified engineers, technicians and draftsman. We combine the best materials, procedures, processes, and highly skilled individuals to produce one of the most respected guns in the world. Each of our designs required many years of research and development. We place great emphasis on producing new and exciting gun designs for our clientele. We are able to do this because we are a small independent company and we are single mindedly focused on producing the world's best. Connecticut Shotgun is one of very few companies in the world that has mastered all manufacturing steps, from development to final assembly. All of our guns are built in-house. After designing a new shotgun we begin making prototypes. Many different prototypes are made and studied before development of the final prototype is possible. After the final prototype is made, we begin testing in our proof testing facility. We have an indoor shooting range and a longevity firing area to thoroughly test the prototype. We then bring the gun to our own private shooting grounds where the it is repeatedly shot in real world conditions. In addition to that we take an actual production gun from the manufacturing process roughly every ten days to "torture test" the gun. Everyone in the factory shoots the gun over a period of two days, making sure there are no defects of any kind. This is done without notice or warning to the gunsmiths. These are some of the ways we ensure that the gun you buy from us is the very best. Superior quality calls for the finest machinery and skills, but also a blend of the latest technology combined with the most experienced traditional craftsman. Our guns are made by using cutting edge technology and age old craftsmanship. Building a shotgun exercises great patience. We hand polish every single part,and chamfer all sharp edges without rounding them. It is the legacy of our master craftsmen that is the heart and soul of the A-10 American™. Each gun requires approximately thirteen hundred different steps by highly skilled people and an untold number of hours. Each gun goes through stringent inspection, conducted at our work shop, inspecting each component to an extremely high standard that will guarantee quality and reliability. and then each gun is inspected for it’s over all appearance and performance. This is done individually by many inspectors. Additionally every gun is inspected by the president of the company. Connecticut Shotgun Mfg. Co. is a company with a proven track record of designing and building exciting new products. Many companies have tried; few have succeeded as Connecticut Shotgun Mfg. Co. has. With our extreme attention to detail, our clients have confidence that they will receive the best possible gun from a company that is highly focused and understands their needs.